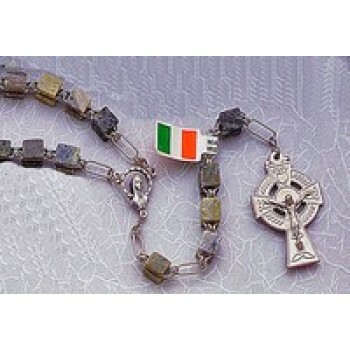 Irish rosary beads are made with stunning imprinted beads and beautiful Connemara marble for a distinctive look. They also feature a Celtic crucifix, which is the most prevalent style in Ireland. 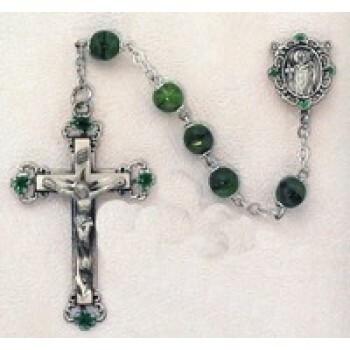 Many of our Irish rosaries made in Ireland favor green beads in a variety of hues. 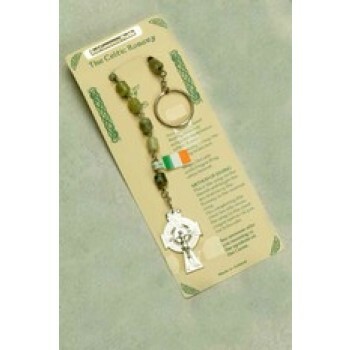 Matthew F. Sheehan offers a variety of Irish made rosary beads to choose from, so you can enjoy a special piece of Ireland every time you pray. 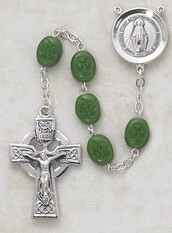 Our rosaries made in Ireland make excellent gifts for anyone with an Irish heritage or a love of the Irish culture. The beautifully crafted rosaries feature the designs and colors of the country, giving the gifts a distinct appearance that will instantly ignite the passion and love of the recipient. Select styles may be engraved, making them excellent choices for milestone occasions such as weddings or graduations. 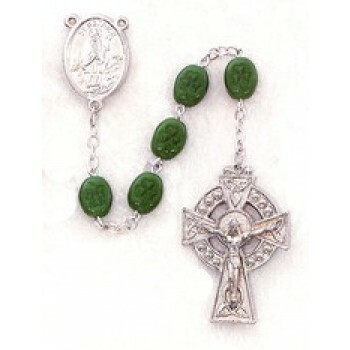 Choose Matthew F. Sheehan for the best selection of Irish rosary beads made in Ireland. Our impressive selection, low prices and friendly service make us your leading choice for religious goods. 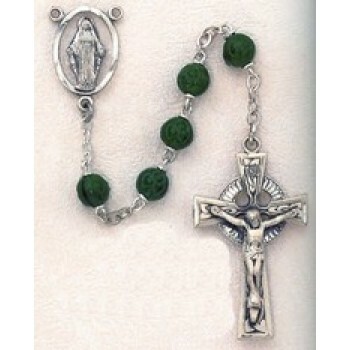 We have been in business since 1907 supplying church goods to the religious community, so you can trust us for all of your Irish rosary needs.